Our beloved friend, mentor and teacher, Dr. Burton L. Fischman (Captain Ruach) passed away on Tuesday, April 3rd, 2018. Burt’s mission was in bringing the membership of the FJMC to legendary levels of leadership through his passion for the organization. 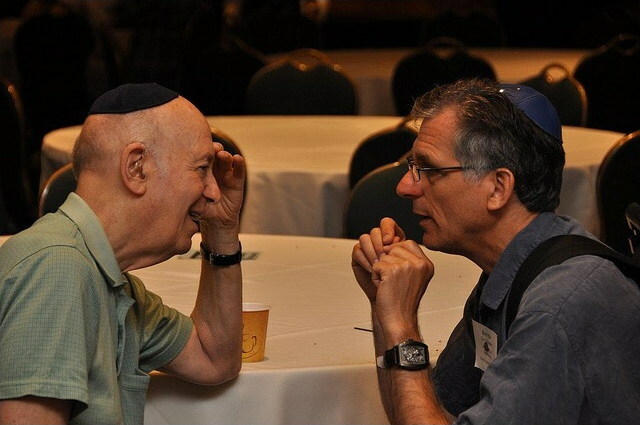 He was the unseen star of every convention or leadership seminar over the past 25 years, by enabling all of us to exceed our own expectations and truly stepping forward to make the FJMC uniquely placed to bring Jewish men to Jewish life. Each and every of our international leaders has a story of his relationship with Burt and of the work they did to meet his high standards. Each of those leaders took Burt’s passion and skills back to their home congregations, from Toronto to Ft. Lauderdale, from Boston to San Diego and to all points in between. Captain Ruach’s carefully designed mishigas with waving napkins, which evolved into regional schmatas, enticed our members to stay until the end of the Birkat, turning what had been an exodus into a simcha. Burt brought us closer to the understanding that being a men’s club leader was not about the hard things, but about making the hard things both easy and fun. View the announcement page for more details and to read the comments. If you are logged in to fjmc.org, you are welcome to leave a comment of your own.